Contains: Water, Ethanol, 1-Methoxypropanol, PEG-12 Dimethicone, Silicone Glycol Copolymer, Acrylic Copolymer, Dye. 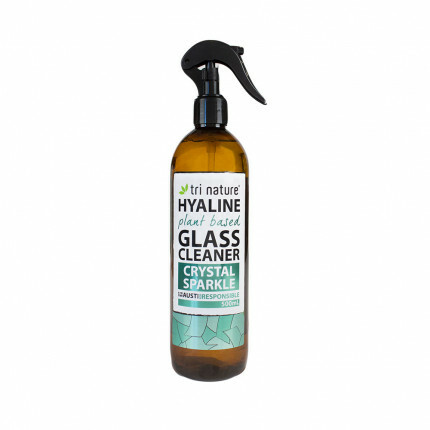 A naturally derived spray cleaning concentrate for glass, windows and mirrors. 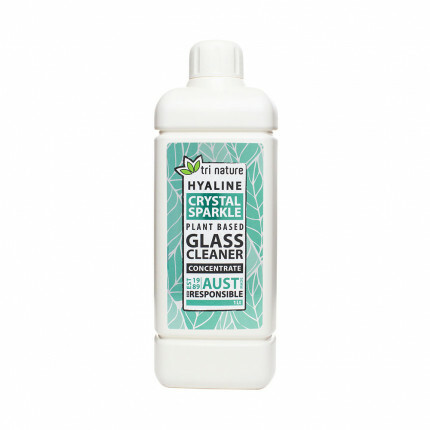 Creates a crystal clear sparkle that inhibits misting and fogging. Reduces finger marking and re-soiling. Penetrates and removes all soils, sticky residue, dust, gum and road grime. Leaves treated surfaces with a unique polished effect. Excellent for vehicle windscreen reservoirs. Environmentally Friendly - Biodegrades quickly and contains no ammonia, phosphates or nitrates. Grey Water and Septic Safe - more gentle on digestive bacteria in septic systems. Eco Responsible - reduces potential for algal blooms and marine toxicity. Concentrate offers outstanding economy and assists in reducing landfill. 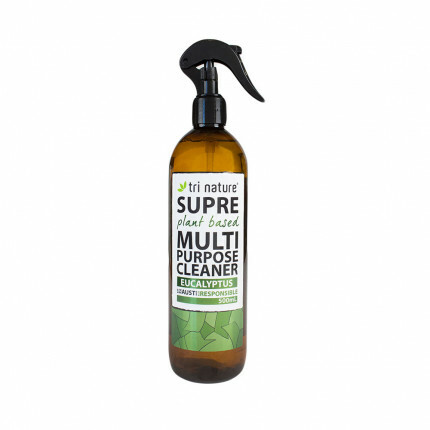 All Tri Nature ingredients are sourced witha great deal of care and consideration of ethics, safety and sustainability. This product is a concentrated solution and should be diluted before use. Also available as a ready-to-use solution. Please refer to the information sheet in the Downloads tab for more information. 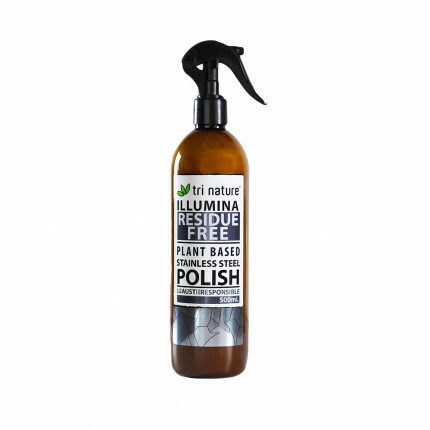 A highly concentrated plant based conditioning lotion designed specifically to polish stainless stee..
A gentle, yet powerful naturally derived cleaning solution for wiping away greasy contaminations qui..
A naturally derived spray cleaning solution for glass, windows and mirrors. Creates a crystal ..